Jones Nature Preserve’s goal is to restore and conserve natural environments by creating habitat for all elements of nature. The private property is located in Rappahannock County, Virginia, in the rural foothills of the Blue Ridge Mountains. The preserve is sustainably “growing wildlife” through the planting of native plants including grasses, trees, shrubs, vines and flowers. 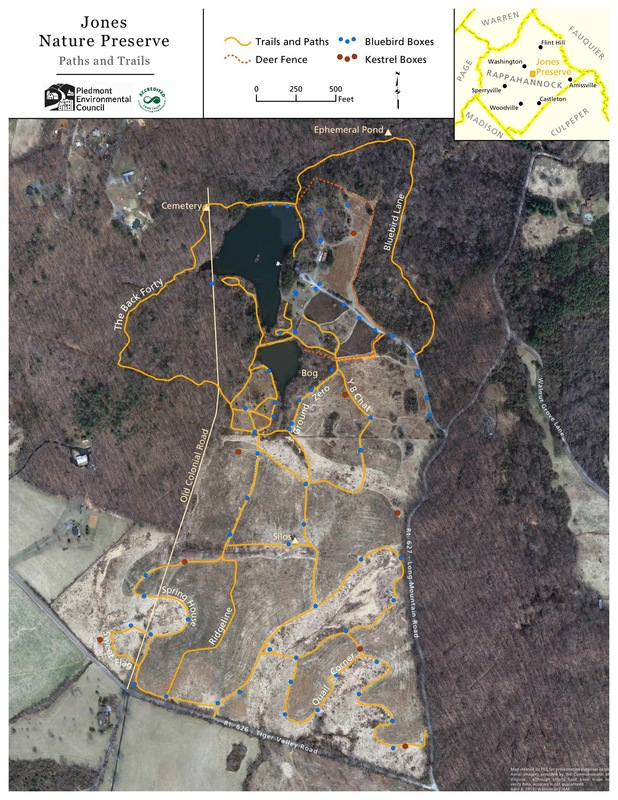 Jones Nature Preserve has re-established native plantings in their appropriate habitat as well as created new habitats such as wetlands and woodland edge. Native grasslands, pollinator plots, and bird thickets are projects which have not only changed the fields that once grew hay but have produced much larger populations of insects, bees, and butterflies as well as a wider variety of bird species. Over a 20 year period wildlife has increased at an astounding rate…and it continues to grow! This website seeks to provide information and inspiration, to develop a new way for others to view their own property, plants, and wildlife, hopefully guiding them toward good ecological stewardship of their own land.